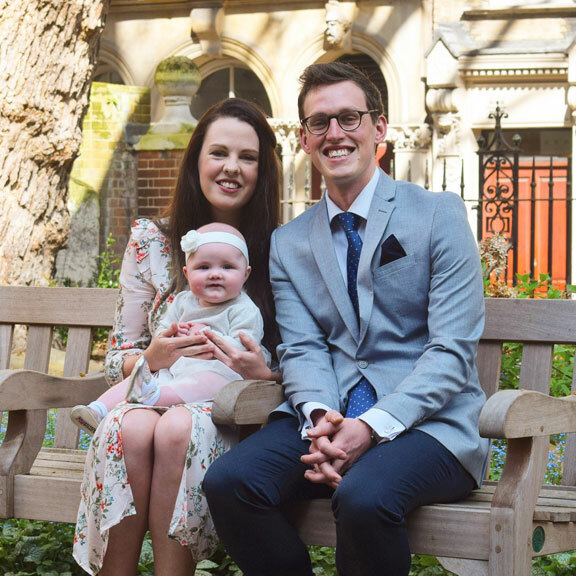 On Sunday 22nd April, the congregation at London City Presbyterian Church welcomed baby Lily into the covenant family as she was presented for baptism by her parents. 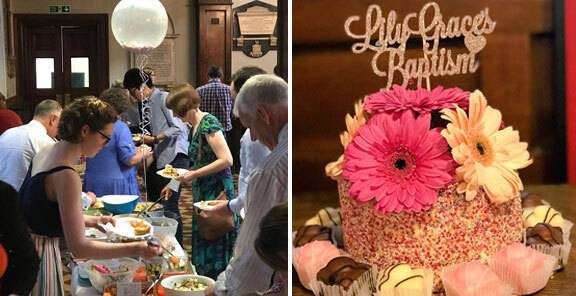 Jonny (a deacon at LCPC) and Sarah had invited several of their family, friends and work colleagues to witness this special occasion – most of whom came – so the church was even busier than normal, and it was great to welcome so many new faces. 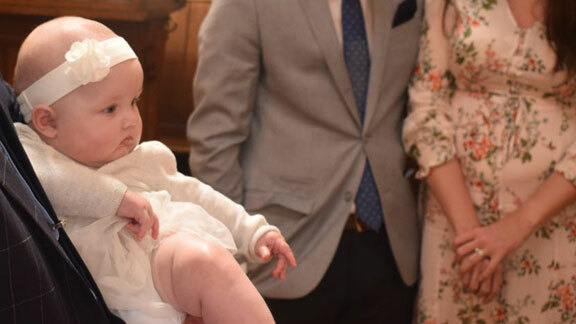 Lily slept through most of the service, but woke up just in time to be baptised, and seemed very comfortable with being the focus of everyone’s attention! Following the service, we had our monthly church lunch which provided further opportunity for fellowship, as well as the chance to enjoy some great food. Please pray for Jonny and Sarah as they strive to keep the baptism vows, and pray that Lily will know God’s grace and blessing in her life.